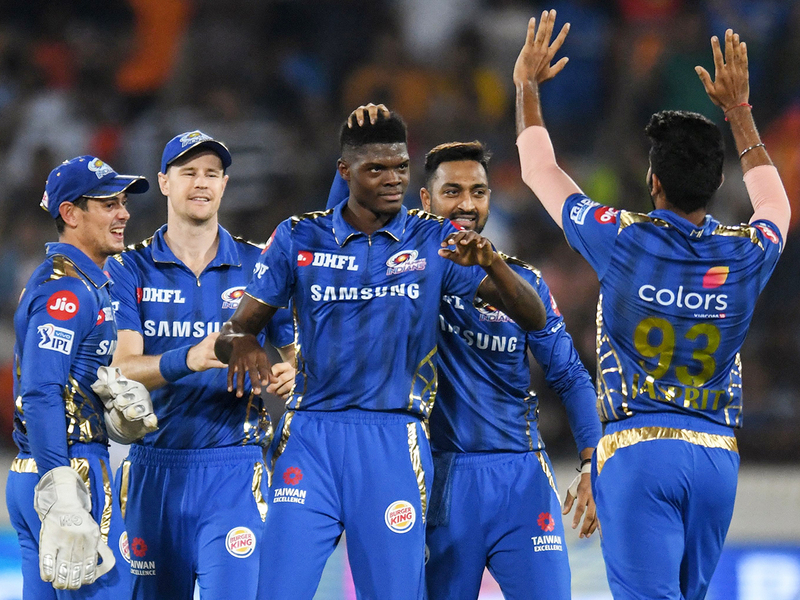 Hyderabad: Alzarri Joseph’s sensational six-wicket haul guided Mumbai Indians to a massive 40-run victory over Sunrisers Hyderabad in their Indian Premier League (IPL) contest here on Saturday. Chasing the target, the hosts got off to a decent start with their scorecard reading 27 for no loss in the initial three overs. However, Rahul Chahar started the proceedings for Mumbai after bagging the wicket of Jonny Bairstow (16 off 10) before David Warner (15 off 13) became a victim of Joseph with just 33 runs on board.